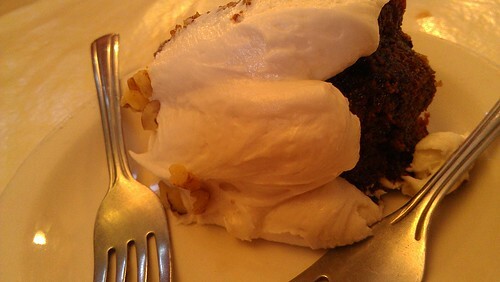 I'd like to share with you the most interesting dessert I've had in a while. It's called Mexican Wedding Cake. But this is kind of a funny name, for a few reasons. First off, when I think "Mexican Wedding Cake", I think of a cookie--a snowball sort of cookie. Not an actual cake. Second, it doesn't really look like a wedding cake. 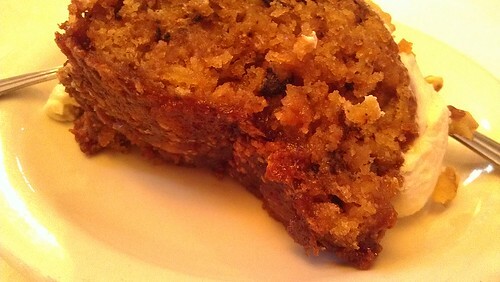 It actually more resembles a Hummingbird cake, with walnuts and pineapple and cream cheese frosting...but without the banana. It's baked in a bundt type pan. Third, we're not in Mexico. We're in New Mexico, at an eatery specializing in New Mexican food. It can't be denied that New Mexican cuisine is heavily influenced by that of Mexico, but they're not *quite* the same. Although to this last point, I feel as though at least one of the employees referred to it as "New Mexican Wedding Cake". But who really cares about the name when a cake tastes this good? As I learned from the fantastic site NM Gastronome, (owner) Antoinette has been making this cake for better than 30 years (though she doesn’t look much older than 30 herself) and says she’s made it thousands of times. You won’t find any better in New Mexico. You won’t find anything close. In the February, 2013 edition of Albuquerque The Magazine celebrated the Duke City’s best desserts. The fabulous Mexican wedding cake was recognized as the “to die for dessert to remember.” I’m not too sure what that means, but if it means the Mexican wedding cake is unforgettable, the honor is certainly well deserved. 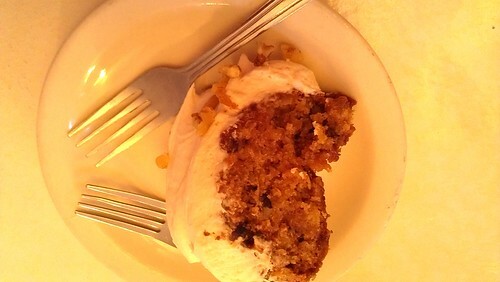 It’s certainly one of the very best desserts in New Mexico. You've got to try this one if you find yourself in Albuquerque! 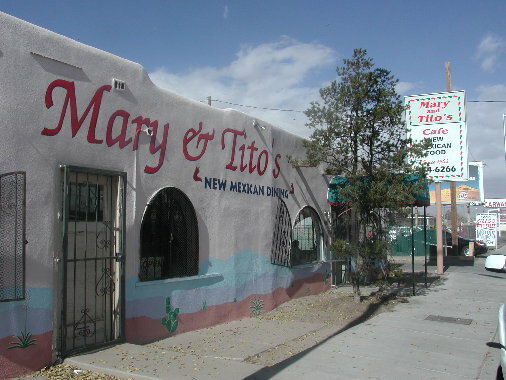 Mary & Tito's, 2711 4th Street, N.W. Albuquerque, NM; Mary & Tito’s Facebook Page.